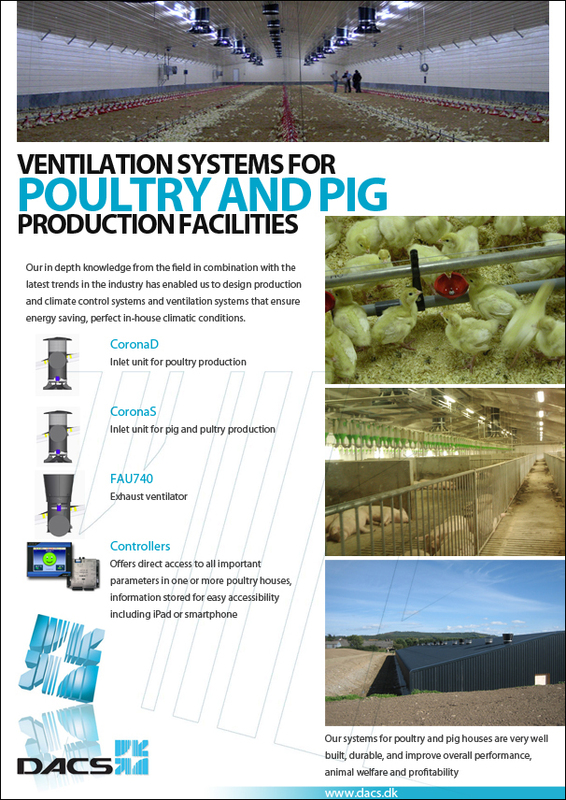 DACS designs, produces and markets ventilation systems and climate control systems for use in livestock production facilities. Our ventilation systems are roof mounted units that will fit into any given type of building for live stock production without compromising the functionality of the system. This ensures the best possible in-house climate, year round, no matter local climatic conditions.